Etsy.com, launched on June 18, 2005, is popular as a side-business as well as a place to buy goods made from recycled and upcycled materials along with the less expensive or more unusual versions of mass-produced items. Etsy is a peer-to-peer (P2P) e-commerce website focused on handmade or vintage items and supplies. It is an online marketplace that provides the general public with a way to buy and sell handmade items, including art, photography, clothing, jewelry, and toys. Etsy charges $0.20 for each product listed on Etsy and activated for 4 months. Hence, it is $.05 charge per month. To renew the product listing for another 4 months, the seller has to pay again $0.20. It means each time the product listing has renewed the charges of $0.20 is applicable. The seller can renew a listing at any point of time, no matter how many products are sold or if it had expired. Etsy WooCommerce Integration at Cedcommece involves the integration of the WooCommerce store with the Etsy marketplace. With the help of this extension, the merchant can configure the desired product category into WooCommerce for automatic submission of the selected product to the same Category on Etsy. The process enables the merchant to configure the desired product category into WooCommerce for automatic submission of the selected product to the same Category on Etsy. 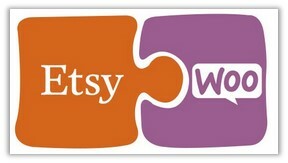 It helps to integrate the synchronized product listing between the WooCommerce and the Etsy retailers. After installing the extension, the merchant can create the Etsy Categories and the dependent attributes on the WooCommerce store. Product Data Validation: Enables the admin to validate the product information based on Etsy standard and values. Easy product upload: Enables the admin to upload the Products on a single click when they are ready to upload. Bulk Upload: Facilitates the admin to upload a large number of products in bulk with a single click and hence reduces the work of manual upload. Auto Acknowledgement of Order: Enables admin to receive a notification on Orders creation. Profile based Product Upload: Enables the admin to create the Profiles and assign it to the products to automate the product upload. Creation of WooCommerce Orders: The newly placed orders on the Etsy Web site are automatically created in the WooCommerce store with all the required details as it is on the Etsy Web site.